In a blender put milk, Softened Vanilla Ice cream, Strawberry Syrup and Ice cubes. Blend them well. 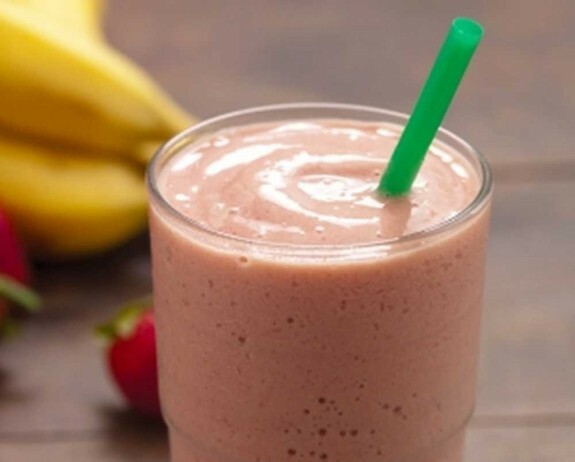 Drop some chopped strawberries in a serving glass and pour the blended mixture in it.